The Twins optioned out Drew Butera this morning and told him they were going to carry two catchers. J.R. Towles remains in camp, and I believe fellow non-roster invitee Danny Lehmann does as well, but their status will change in the coming days. Reading between the lines, it is increasingly obvious that Justin Morneau is going to spend most of his time as the designated hitter, which means Ryan Doumit will get most of his at-bats playing a position. This is not going to help the defense, but many of the Twins decisions of the past week have been in the direction of sacrificing defense for offense. * The chatter this morning has Sean Burroughs making the 25-man roster. I don't see a good reason for this. What is his role? Burroughs is not -- or shouldn't -- going to play third ahead of Danny Valencia. He's not -- and even more emphatically shouldn't -- play first ahead of Chris Parmelee. While there was chatter all spring about running him out at second base, that hasn't happened, nor should it. Burroughs profiles as a pinch-hitter. Left-handed, hits for average, almost no power, limited on defense to the corner infield. (Not that he's good there either; on Friday, playing first base, he allowed a Boston runner to score from second on a sac bunt.) That makes him a reasonable fit on a National League roster, not so much on an AL squad -- especially one that doesn't have a legitimate middle infield backup. * In connection with that last point, Trevor Plouffe is starting Saturday's exhibition game at second base. This is apparently to prepare him for such use after pinch-hitting for Alexi Casilla or Jamey Carroll. It's perfectly logical. He has established that he's an awful middle infielder, so the Twins had him spend the winter and spring focusing on becoming an outfielder. This is bound to make him a better infielder. How can it not? the jump rope section during spring training 2008. I took note earlier in the week when the Twins released a couple of former high draft picks. Also axed that same day (as were several others) was Chris Cates. Cates' release wasn't as significant as the washing out of a supplemental first-round pick and a third-round pick, but I wanted to take note anyway. Cates was a noticable player for his size, or more accurately his lack of it. He was listed as 5-foot-3, 145 pounds. 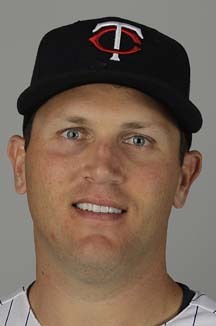 The Twins drafted him in the 37th round out of the University of Louisville in 2007, and he ground his way up the farm system until stalling out at Double A.
Five-three is mighty small for a professional athlete, and Cates couldn't hit enough to make it to the top. It's surprising, really, that he got a chance to go as far as he did. Size matters to scouts. He had to show them something just to get past his diminutive stature. He had enough to be an "organizational guy." Farm systems exist to develop future major leaguers, but not everybody on a minor league roster is going to make it to the top. Organizational guys are there to fill the gaps and help establish the attitude. 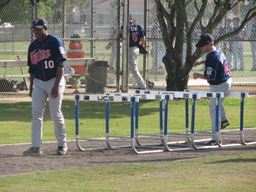 The photos here were taken by my wife during the morning we spent on the minor league side during our 2008 trip to spring training. She was struck by the sight of Cates trying to step over the hurdles in the stretching segment and half-jokingly suggested that he should have a ADA (Americans with Disabilities Act) waiver for that exercise. Cates spent four years chasing a dream that was probably never realistic for him. I doubt he regrets it — although he probably got tired of posing for photos with sometimes teammate Loek Van Mil (7-foot-1) — but he probably also hopes his next endeavor goes better. The Twins open the 2012 season a week from today. I believe that the bullpen would be settled now, if not for the injury factor -- not merely among relief candidates themselves, but in the starting rotation. Kyle Waldrop, who I figured was most likely to emerge with the final middle relief slot, is battling a sore elbow. LaVelle Neal said today the soreness was on the inside of the joint, and that gets my attention. Then there are two putative members of the starting rotation whose status is up in the air: Scott Baker (elbow) and Jason Marquis (family emergency). Marquis has been out of camp for roughly two weeks now after his daughter's injury. This may not have a lot of impact on the bullpen as the season begins. The Twins have an off day scheduled during their first turn through the rotation, and Liam Hendriks is likely to be Plan B if and when the Twins need to fill in for one of the starters. They won't necessarily need to get to Matt Maloney or Anthony Swarzak until the second week of the season. Gray, who is on the 40-man roster, is out of options. Terry Ryan said in the wake of the demotion of Tsuyoshi Nishioka, that options would not be a factor in who makes the team. I do not give that full credence. Options matter. They may matter less this spring than in some previous ones, but they matter. that of a reserve outfielder. 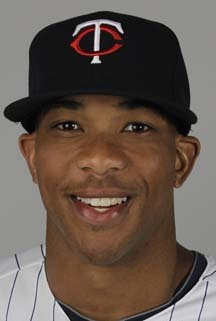 Ben Revere opened camp as the putative left fielder. With less than a week to go, he's merely a contender for playing time in right field — the outfield spot his skill set is least suited for. He'll still be on the 25-man roster — there's nobody else in the mix who wouldn't be an embarrassment in center field when Denard Span needs a break — but The Willingham Shift strongly suggests that the Twins have decided that Revere is a fourth outfielder. It's a reasonable conclusion. Span and Revere are very similar players — left-handed singles hitters with speed and relatively weak arms. Span is simply better at most aspects of baseball than is Revere. Span throws better, he has more power, he has the more discerning eye at the plate. Revere is probably a bit faster, but Span isn't exactly a Molina brother. There are few pennant winners with two of them. You need some power from your outfield corners. And Revere has less power than most of the speed merchants mentioned. If Revere is ever to become a major league regular, it will be as a lead-off man center fielder. The Twins have a better one in Span. As long as they're on the roster together, Revere is a fourth outfielder. It's a role that fits his skill set. He's certainly more the prototype reserve outfielder than prototype corner outfielder. The first crack in that assumption came when Nishioka washed out. It seemed likely at that point that the Twins would be looking outside the organization for a reserve infielder who could play shortstop once a week or so. To identify the 25th man, we must first identify his role. To identify his role, we need to know what Justin Morneau can do, because Morneau's role will determine if Ryan Doumit is in the lineup at a position or as the designated hitter. If Doumit is in the outfield (or even at first), he's more available as a mid-game substitute for Joe Mauer at catcher than if he's the designated hitter. Use the DH in the field, and the pitchers now have to bat. The Butera Corollary to the Cuddyer Principle comes into play here: Catcher is a different beast. The Cuddyer Principle holds that one can put a right-handed major leaguer (Luke Hughes, let us say) at just about any position and get away with it for a while; put Hughes at shortstop, and it will take a few days, weeks, months to realize that he's not a shortstop. The Butera Corollary holds that if you put Hughes behind the plate, it will be real obvious within an inning that he's no catcher. This is why managers hate being without a bona fide catcher in reserve. Ron Gardenhire is not eager to give up the DH and ask his pitchers to do something they're not trained to do (hit and run the bases); he's not eager to embarrass Hughes (or anybody else) by having him catch. So ... If Morneau plays first base, and Doumit is the DH (with Parmelee as the usual right fielder), I would expect a third catcher. If Morneau is the standard DH, Doumit's playing time will come in in the field, and the Twins have less need for a third catcher, and could go with a shortstop-ready infielder to fill out their bench. The Twins do have emergency options. 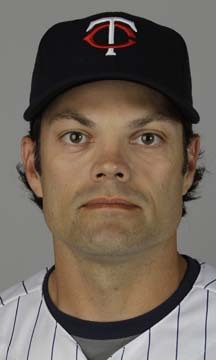 Willingham spent most of his minor league days as a catcher; he hasn't, however, been behind the plate in years. Morneau was signed as a catcher, but was quickly moved to first base, and given his concussion history, exposing him to foul tips isn't a good idea. As for shortstop: As written here already, the Twins don't have a good reserve shortstop option on their roster. Brian Dozier has to play, not sit. I think it likely that a usable reserve shortstop will be available on waivers; I think it more likely that the Twins will go with a third catcher. 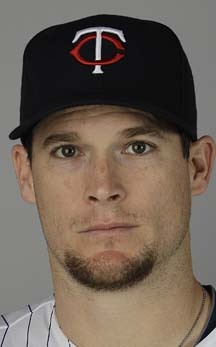 They may not have a real use for him, but I suspect Gardenhire will feel more comfortable with that security blanket. One way to rationalize The Willingham Shift: Chris Parmelee has beaten out Ben Revere. Ron Gardenhire probably views it that way, although he's hardly about to say it out loud, especially before the opening roster is finally set. In a sense, this is how it should be. Both Parmelee (2006) and Revere (2007) were first-round picks out of high school, but Parmelee went earlier in his draft class and got the bigger bonus. Revere was generally seen as a bit of an overdraft at the bottom of the first round; Parmelee went about where the scouting consensus had him. 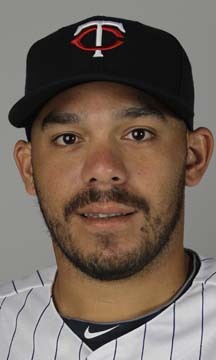 Yet Revere, despite starting a year later, reached the majors a year ahead of Parmelee. They are, of course, very different players -- both left-handed hitters, but Revere is a speedy slap hitter, and the bulkier and slower Parmelee has displayed what Bill James years ago wrote of as "old player skills" -- lower batting average, higher walk and strikeout rates, power. James, to my recollection, first used that term in discussing Tom Brunansky, and it may not be coincidence that Parmelee revived his flagging prospect status in a season when he had Bruno as his hitting coach. His minor league career, in total, has been lackluster. But the Parmelee of last September and this spring training has generated consistently good at-bats, and he is said to have come on strong in the second half of 2011 in New Britain. It is certainly possible that something has clicked for Parmelee and that the talents that made him a first-round pick have finally turned into major league skills. With Willingham in left, it's difficult to see how the lineup works without Parmelee somewhere in it. If Justin Morneau is the designated hitter, Parmelee is the obvious choice to play first; if Morneau can play first, Parmelee (who has played almost as many games in right field as at first in the minors) is a more likely choice to play right than Revere or even Trevor Plouffe. Or he could be the DH, with Ryan Doumit in right. Having Parmelee -- seen entering camp as likely to be assigned to Triple-A Rochester -- on the major league roster will have a ripple effect on the bench. That will be the topic for Thursday. A few things have happened since my first attempt at predicting the Twins Opening Day bullpen -- or, as I like to call it, Current Outsider Projected Opening Pen. 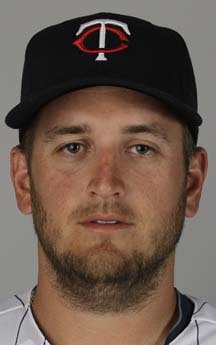 Manship had been a serious candidate for the pen. Brendan Wise, reassigned on Monday, less so. Another development during the weekend, almost lost in the Josh Willingham position switch news of the same day, was Rob Antony, assistant GM, saying in a radio interview that Matt Maloney and Jared Burton had legs up on bullpen berths. One aspect of all the non-roster invites the Twins made: When they got assigned to minor-league camp, they pushed some returning minor leaguers out. A couple of fairly significant names got axed Tuesday, at least in terms of the team's desire to grow its own power arms. 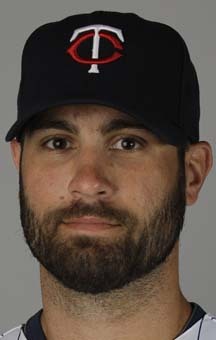 Matt Bashore, a lefty who was taken in the supplemental round in 2009, was released; his career was derailed by a second bout of Tommy John surgery. Also released was Ben Tootle, a hard-throwing third-rounder from the same draft. I said here after the 2009 draft that the Twins had gambled on arms with injury histories. 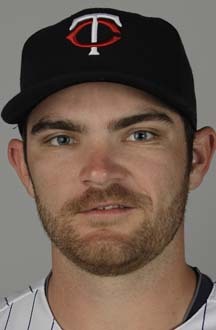 Bashore and Tootle are gone; Billy Bullock (second round) is gone, traded last spring for Scott Diamond; Kyle Gibson (first round) is on the shelf after his own TJ surgery. Doesn't appear to have gone too well. Underlying "The Willingham Shift," in which fellow free-agent signee Josh Willingham vacates his intended right field for his accustomed left field, appears to be the uncertain status of Justin Morneau. 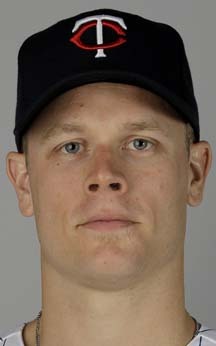 Morneau is a key to whatever the 2012 Twins hope to accomplish. They need his bat in the lineup, first and foremost; they'd prefer to also have his glove at first base, but that's a secondary priority. If Morneau can play first, then Ryan Doumit can be the primary designated hitter. But if Morneau has to DH -- and he hasn't played at first in more than a week now -- Doumit has to do something else. This is a problem. As a designated hitter who plays once or twice a week in the field, Doumit's $3 million contract figured to be a bargain. The less often he hits, or the more often he plays a defensive position, the less valuable he becomes. As a traditional No. 2 catcher, used in the manner in which Mike Redmond was in his Twins tenure, Doumit is way overpaid. So Doumit's gonna play. But where? Doumit could play first base, but he's clearly uncomfortable with the idea, and his discomfort makes Ron Gardenhire uncomfortable. Doumit started a televised game in left field early in spring training; he appeared, if anything, worse than Delmon Young, and Young was no picture of grace out there. Doumit's most comfortable behind the plate, but Joe Mauer's the catcher. His next favored position is right field; if both Doumit and Willingham are to be in the outfield, the obvious alignment is Willingham in left and Doumit in right. It won't be a good defensive outfield. But it keeps three bats -- Morneau, Willingham and Doumit -- in the lineup and opens up a slot for Chris Parmelee. I'll post Wednesday on the implications for Parmelee. Ron Gardenhire announced Sunday that he was undoing an offseason decision and returning Josh Willingham to his accustomed left field. This pretty much ensures another season of lousy defense. At the core of my discontent: In reviewing the disaster that was 2011, I concluded that the organization's top priority moving on had to be reversing the defensive decline. Fix the defense and the pitching gets better. The offseason plan, with Ben Revere and Span ticketed for left field and center field, certainly sacrificed power but figured to make up for it by cutting off opposition runs. The new plan cuts back sharply on Revere's value. If he is in the lineup -- which seems far less likely -- it will be in the outfield spot at which he figures to be least valuable: right field, where his range is less useful and his popgun arm is a true detriment. What I now expect to see -- and I'll post about this in more detail for Tuesday -- is a lot of Ryan Doumit in right. An outfield of Willingham-Span-Doumit is no defensive improvement over 2011. A Yankees-oriented blog, Was Watching, recently posted this list of shortstops who played 100-plus games at age 38 or more. I'm linking to it here so that I have ready access to it. It's relevant to the Yankees because of Derek Jeter. It's even more relevant to the Twins because of Jamey Carroll, who is, as of now, slated to be Minnesota's regular shortstop. The list is Hall-of-Famers or nearly so. There are a couple of nonentities from the 1880s and the first years of the American League, but everybody else was a true standout. Omar Vizquel had a corner on the market in Gold Gloves for a decade, Maury Wills won an MVP, Larry Bowa set fielding records ... and those are the weakest careers of the bunch. Jeter is one of the greatest shortstops ever. He fits that crowd. Carroll does not. That, in a nutshell, is why I am skeptical of the plan to install him at short. 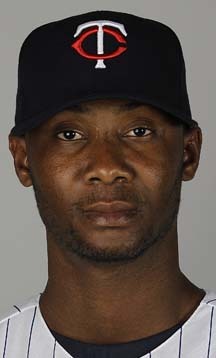 In the spring of 2005, Jason Bartlett was 25 and the putative heir to the shortstop position, freshly vacated by Cristian Guzman. Terry Ryan signed veteran utility infielder Juan Castro as a fallback option. Ron Gardenhire was reluctant to play Bartlett; the manager found Bartlett too deferential. And, in truth, Bartlett didn't hit in 2005. 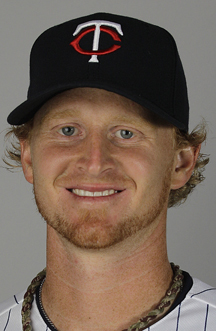 Bartlett outplayed Castro in spring training 2006, but opened the season in the minors. It wasn't until Ryan dumped Castro that Bartlett got to play regularly. Gardenhire is voicing no such reservations about Brian Dozier. But Ryan has provided his manager with a veteran utility infielder to play ahead of a relatively old rookie (Dozier turns 25 in May). He even signed Carroll as a free agent from the Dodgers, just as he did Castro. This time around, it appears to be the general manager who is reluctant to turn the job over to the rookie. "Good players retire. Bad players get released. I got released." How different would baseball history be if the current draft rules -- designed to further limit the leverage of players -- had been in place in 1990? That spring, the Atlanta Braves had the first overall pick, and a high school right-handed pitcher named Todd Van Poppel was the consensus top prospect. Bobby Cox, then the Atlanta GM, met with Van Poppel, looked him in the eye, and decided the kid was sincere when he told Cox he would not sign, that he was going to college. 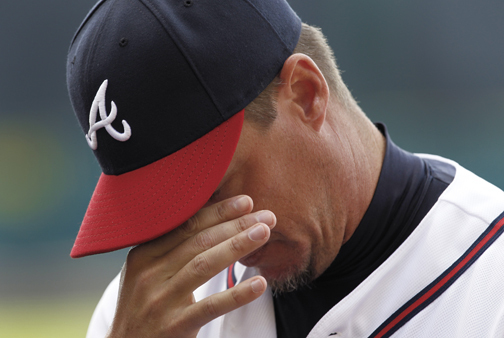 The Braves drafted Chipper Jones instead. 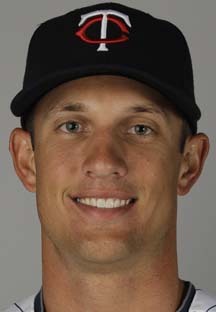 Van Poppel went much later, to the defending AL champion Oakland A's, and signed a contract that today would be prohibited. Jones became a no-question Hall-of-Famer, a middle-of-the-lineup fixture on a playoff perennial who spent his entire career with Atlanta; Van Poppel became a very mediocre middle reliever who wandered from team to team. I'd say it worked out pretty well for Atlanta. The "Smells Like Mascot" take on the White Sox winter. There is a different sense about the Chicago White Sox this year. Mark Buehrle, the rotation anchor for most of the past decade, is gone. Ozzie Guillen, for better or worse the focal point of the clubhouse for eight seasons, is gone. Kenny Williams, the (overly) aggressive general manager, has pulled in the reins. Robin Ventura, who has never managed on any level, is the dugout boss. The Twins had the most disappointing season in all of baseball last year, but the White Sox were pretty unhappy with their lack of achievement too. Last year's motto, after all, was "All in." Now Williams is talking about rebuilding -- and that's not easy to do when you have (a) a collection of immovable contracts -- Alex Rios, Adam Dunn, Jake Peavy -- and (b) what is widely regarded as the weakest farm system in the game. Old habits die hard, and the habit of regarding the Sox as a threat in the division is not dead yet. Wounded, but still breathing. Much depends on those three aforementioned big-money disappointments. Peavy had five no-hit innings last weekend and says he feels better than he has since coming to Chicago. Dunn's horrendous 2011 may have been linked to his appendectomy and hurried return; that kind of falloff is otherwise inexplicable. I suspect he's primed for a good season. Rios has been bad two of the past three seasons; perhaps moving him out of center field will snap him back to the production he had as a right fielder in Toronto. I don't see a middle ground here. If the big-money guys stink it up again and Ventura is over his head as manager, this could be a disaster; if Ventura instills a calmer atmosphere and the veterans snap back to the levels that got them their big contracts, they may even contend. It's that time of year again, when this blog has to decide what page(s) on Baseball Reference to sponsor. Two years ago I did three pages: Michael Cuddyer, Terry Steinbach and Gene Larkin. When the prices for those three went up, I let the sponsorships lapse -- and wound up busting my budget for 2011 on Joe Mauer. That worked about as well for me as it did for the Twins. I said at the time that I was unlikely to re-up on that one, and when the new price tag ($240) came in an e-mail recently I started looking elsewhere. Five hundred fifty dollars? For Cuddyer? Really? I went with Glen Perkins at $35. There are a couple of guys who might make the team I may make a play on if they do. The Twins on Thursday sent five non-roster invitees to the minor league camp. Nothing much here; Phil Dumatrait was the most prominent name. The removal of Dumatrait and Terry Doyle doesn't really change COPOP, but it does eliminate the two "other contenders" I had listed for the MR4/L2 job. I will now change it to MR4, since Matt Maloney is the only lefty candidate left. For the sake of acknowledging that they're still in camp and that Maloney is merely leading, not a lock, I will put a couple of previously unlisted pitchers in the parentheses, not that I think either has much chance. A loser in the MR3 category is a better bet should Maloney slip. Burton, Fien and Wise are the three remaining non-roster pitchers in camp. Thirty-nine players remain, so there are 14 cuts still to come. At least 14; if the Twins pick up an infielder on waivers, and I think they will, there will be a corresponding departure. 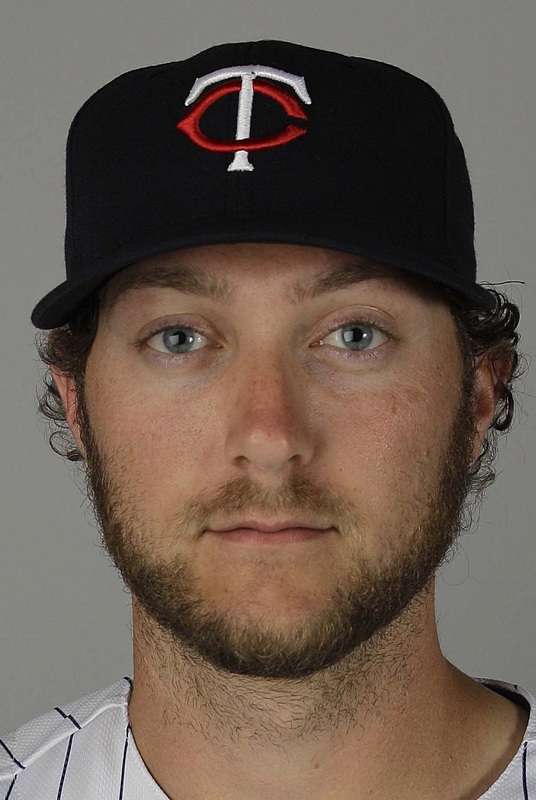 The Twins on Wednesday returned Rule V draftee Terry Doyle to the White Sox. Considering how much Doyle struggled to get hitters out this spring, it wasn't surprising that the Twins decided they couldn't justify keeping him on the 25-man roster. Considering that the Twins and White Sox are in the same division, it's not surprising that they couldn't come to terms on a trade. What is striking is that the Twins pulled the plug on Doyle about two weeks before the season begins. Usually they drag it out closer to the end of camp. My guess is that Matt Maloney -- who threw two more shutout innings Wednesday, working through the heart of the Tigers order (no Miguel Cabrera, but otherwise the Tigers regular lineup) -- made lopping Doyle relatively easy. Rule V has never been a particularly rich vein of talent to mine -- for every Johan Santana there are dozens of guys who are returned to their original teams -- and it's even thinner now than it was a few years ago, because teams have an added year in which they don't need to protect prospects from the draft. A Baseball America columnist this winter, reviewing the talent selected last December, suggested that the Rule V draft could just as well be abolished. The Twins liked what they saw from Doyle in the Arizona Fall League. They didn't see that same pitcher in Fort Myers. So be it. The Twins now have a vacant spot on their 40-man roster. They will have at least one more before the season begins, and quite possibly more (Joel Zumaya and Jeff Gray being particularly likely to lose their roster spots). There are certainly players on whom the Twins can use those spots. worse than it actually was. Already two of those, the Royals and Tigers, need to be revisited. One of the more intriguing moves of the offseason was Detroit's decision to move Miguel Cabrera to third base to make room at first for Prince Fielder. 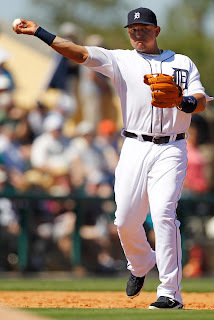 On Monday Cabrera took a bad hop off the face; on Tuesday the Tigers said he had a non-displaced fracture of the orbital bone under his right eye. They say his vision is fine, and he'll be rechecked in a week after the swelling has gone down. We can assume that the Tigers and Cabrera figured they'd lose some runs on defense by playing him there. They probably didn't figure that he was going to be exposed to injury. 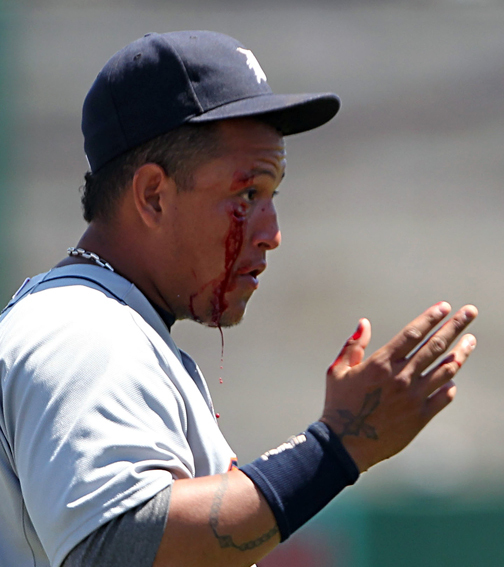 The chatter at Tigers camp Tuesday was that the sunglasses he was wearing at the time were responsible for the bloody cut but probably protected his eye from the ball; Detroit GM David Dombrowski said the ball's laces left an imprint on the lens. For what it's worth, Jim Leyland says nobody was going to handle that hop and that Cabrera's drawbacks at the position had nothing to do with the mishap. He may be right. But it will be interesting to see if Cabrera flinches on hard-hit balls whenever he gets back on the field, which probably won't come much before Opening Day at the earliest. Kansas City's closer, Joakim Soria, has ligament damage in his right elbow and may require Tommy John surgery. It would be Soria's second such operation. Among the fallout: Aaron Crow is to remain in the bullpen, although he doesn't figure to take Soria's closing role. The Royals have also lost catcher Salvador Perez to knee surgery for about the first two months. Now that the Twins have cleared some of the underbrush in their forest of pitching candidates, it's time to bring back one of last spring's blog staples: Current Outsider Projected Opening Pen, my guess at who will be in the Twins bullpen on Opening Day. This spring feels a lot different from last year, when COPOP changed frequently, in no small part because many of the roles had no obvious fit. Today, four of the seven slots are certain (short of calamity) and two others have what appear from this distance to have clear front-runners. Names in italics are my front runners. Names in parentheses are other candidates for the role, in order of their chances. I fully expect the Setup 2 role to go to a right-handed power arm. Burton's been the best of that collection. I would prefer to see the MR3 job go to a righty with a different out pitch, whether that be Manship's curve or Waldrop's sinker. The MR4 job may depend on how Ron Gardenhire and Rick Anderson want to use that pitcher, but at this point Maloney looks like the most effective of the candidates, and I was intrigued by him from the time the Twins picked him up in October. The Twins have already dismissed several of the hard-throwers they brought in to compete for bullpen jobs. Prominent among those remaining in camp is Jared Burton, who had some success with Cincinnati before arm problems and other ailments befell him. He's in camp as a non-roster invitee, and doing well. The Monday print column was about the extreme need for context when looking at spring training stats, and so my ears perked up Monday afternoon when Burton came in. Nobody out, Jacoby Ellsbury on first, and Dustin Pedroia, Adrian Gonzalez and Kevin Youkilis coming up. That's some serious lumber. Burton navigated it successfully, if not in quite the manner one might expect or even hope for. Pedroia hit a liner that Burton deflected; Alexi Casilla and Jamey Carroll turned it into a force out at second. Gonzalez popped out to center. 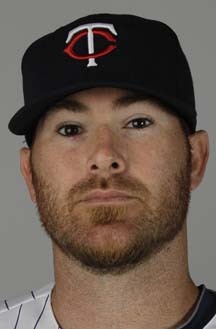 Youkilis walked. David Ortiz -- more serious lumber -- then struck out. Burton had more trouble with the two righties he faced than the two lefties. Considering that the Twins are in specific need of somebody they can use to target right-handed hitters, that's not ideal. But getting three outs from those four isn't shabby. As expected, the Twins had their second round of cuts Monday, sending out 12 more players to their minor-league complex. 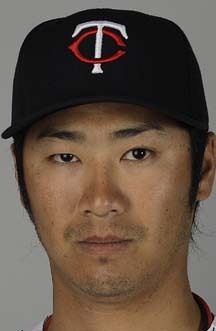 We'll start with the headline: Tsuyoshi Nishioka optioned to Rochester. The Twins pick up their utility guy on waivers late in camp. There are other possibilities, such as Pedro Florimon, but they seem less likely than those two. My bet is on the waiver-wire move. Dozier is going to start wherever he is; I can't see the Twins carrying him as a one- or two-games-a-week guy. I saw a quick piece of speculation about Luke Hughes as the sole utility infielder, or Trevor Plouffe returning to the infield. But nobody's ever accused Hughes of being a shortstop, and Plouffe has been emphatically cleared of those charges. Carlos Gutierrez optioned out. He was one of the bullpen candidates who most intrigued me coming into camp, but he's not in the running now. He and Kyle Waldrop are redundant: Right-handers, former first-round picks, who rely on groundballs and get few strikeouts. Gutierrez has superior velocity; Waldrop has better control. Waldrop's still around. More hard throwers cut. I speculated Monday morning that all four of the relievers who finished Sunday's one-hitter could be cut; in the actual event, only one was. That was Luis Perdomo, who also happened to be the one guy who allowed a hit. Perdomo was also one of the highest-velocity arms, if not the highest, in camp. Also leaving: power arms Jason Bulger and Esmerling Vasquez. (And some softer throwers as well, in P.J. Walters and Daryl Thompson). Scott Baker insurance: Liam Hendriks is still in camp, implying that if Baker's balky elbow keeps him out to start the season the Aussie might get the rotation slot. Also still around are the use-or-lose guys who might factor in the 2013 rotation (Terry Doyle, Matt Maloney, Anthony Swarzak). Of those latter three, only Doyle has been pitching as a starter in camp; it will be interesting to see if Maloney in particular starts getting stretched out. What, if anything, should we take away from Sunday's exhibition game, in which Francisco Liriano and four relievers combined to allow Pittsburgh just one hit? Probably not a lot, other than that so far this spring Liriano has more closely resembled the 2010 model than 2011's. He did have a clunker start -- which was really just one clunker inning -- after which he talked of rushing "like I always do." This is the essential riddle of Francisco Lirano: Inconsistent mechanics, aware of what his problems are and somehow unable to correct the problems in mid-inning. 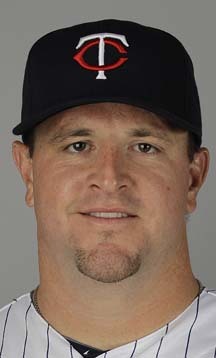 If Liriano is in 2012 what he was in 2010, the Twins have a borderline ace. The border is the self-command to make whatever adjustments he needs -- and he is too often on the wrong side of that border without an entry visa. Order of use matters in this situation; the deeper into the game, the fewer legitimate major league hitters the pitcher will face. So it was significant that Jeff Gray, the one man among the four relievers who is on the 40-man roster, was the first man used. He is also the one I have the least interest in seeing actually make the 25-man roster. He might anyway; he's on the 40 and out of options. The Twins obviously were interested enough to claim him last October when Seattle waived him, and he hasn't allowed an earned run this spring. But he has allowed a pair of unearned runs, he has yet to strike out anybody and he's walked a batter per inning. He has been less effective than the ERA suggests. There is an expectation that there will be a fresh wave of cuts today; I wouldn't be too surprised if all four of Sunday's relievers get the ax. For Casey Fien, Sam Deduno and Luis Perdomo -- all of whom have outperformed Gray in Florida -- that will mean the short hike to the minor league side of the complex, for which they were signed this winter to begin with. For Gray, it means another exposure to the waiver wire and perhaps yet another new organization. 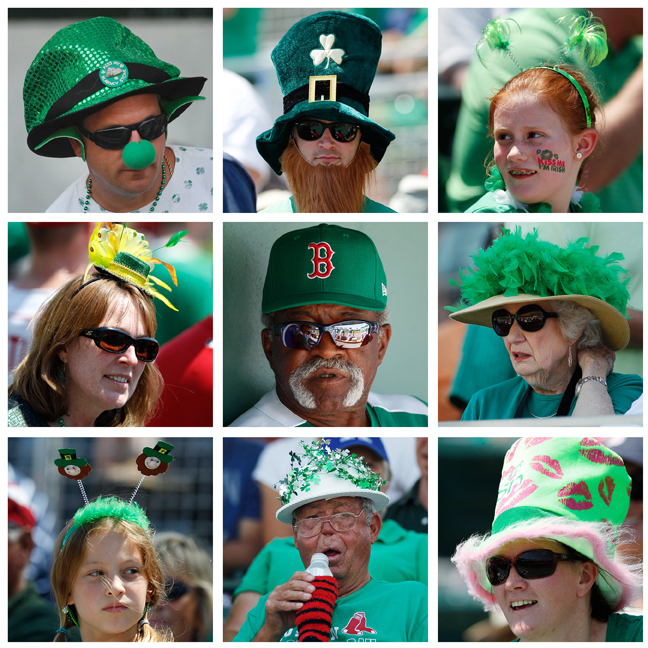 Fans at the Boston Red Sox spring training facility in Fort Myers, Fla., on St. Patrick's Day. That's Luis Tiant in the middle. 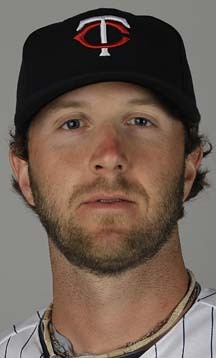 cross between Dustin Pedroia and Chase Utley. The 2011 Indians had pretty low expectations, but they were sensational for the first half of the season before tailing off and finishing a notch below .500. It was a young team, and the conventional expectation is that a young team that suddenly emerges will continue to grow into the role of contender. And sometimes, as with the Twins in the early years of the previous decade, that does happen. More frequently, it's a case of two steps forward, one step back. Which is rather what I expect is going to happen for the Tribe this year. There are aspects of the Cleveland team that can go better in 2012 than they did in 2011. Shin-Soo Choo is better than he played last year. Carlos Santana's a better hitter than he showed last year. Grady Sizemore keeps on getting injured. There were also aspects of the Cleveland team in 2011 that, quite frankly, seem rather flukey. Asdrubal Cabrera, as a primary example. Is the shortstop really a 25-homer guy? He's never shown power to be part of his skill set before. Much of the lineup has question marks like that, or worse. Everybody seems to be either trying to bounce back from something or to be trying to establish that they really are that good. Same thing with the starting rotation, which may be the key to the Indians' hopes.. We can name the Indians starters -- Justin Masterson, Ubaldo Jimenez, Josh Tomlin, Derek Lowe, Kevin Slowey -- but none of them have a current established level of performance that they can be comfortable about. 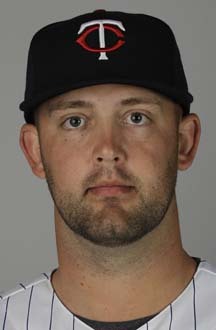 Masterson, for example. Wish the Twins had him. But his ERA ballooned about 1.3 runs in the second half last season. 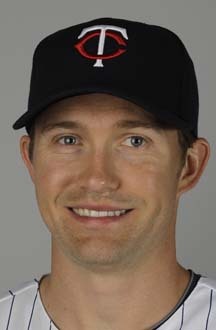 Tomlin spent the first half doing a great Brad Radke impersonation, then finished the year on the shelf. Lowe pretty clearly ain't what he used to be, and Jimenez had an ERA above 5 after coming over from Colorado. Then there's the whole "pitcher to be named" Fausto Carmona fiasco, in which a starter who has been a centerpiece of the Cleveland rotation for five years turned out to be somebody else entirely. Roberto Hernandez Heredia is not going to readily get a visa after this false identity scam. Which is why Slowey is getting a shot with the Tribe. The Twins castaway, a fly ball pitcher to the extreme, at least gives Cleveland a different look. Masterson and Lowe throw almost nothing but hard sinkers; that's also Jimenez's best pitch; that was also Carmona/Heredia 's bread and butter. Cleveland went 80-82 last year with a set of stats that suggest a 75-win team. They might get better; I think they'll regress some. The Twins on Thursday sent nine players to their minor-league camp. Add in the earlier season-ending injury to Joel Zumaya, and the major-league camp is down to 57 players -- a mere 32 more cuts to come. The song says the first cut is the deepest, but that's not the case here. The deeper cuts are still to come. Most of the Thursday cuts were pretty routine. Three were non-roster guys, one of whom (Steve Pearce) is out for the coming week anyway, another of whom (Danny Rams) is a catcher not needed with fewer pitchers in camp, and a third (Aaron Thompson) who is probably going to start in the minors and needs to be stretched out. LaVelle Neal called the quick demotion of Scott Diamond a surprise. I don't see it that way. Diamond, like Thompson, figures to be a starter at Triple A. He had little chance to make the major league club -- the five projected starters, plus Anthony Swarzak, Matt Maloney, Terry Doyle and Liam Hendriks, are all ahead of him in the starter/long man pecking order as I see it. I'm more surprised that Hendriks wasn't among the cuts. He too will be a starter, probably at Rochester, and needs the innings. Obviously they figure they can still get him the innings he needs for now. 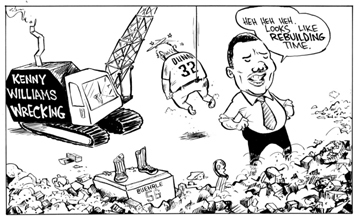 What did come as a surprise were the demotions of Lester Oliveros and Deolis Guerra. Those two, as I saw it, entered camp as bona fide bullpen candidates. Instead, they're the first ones out. Which hardly dooms their chances for Minnesota. Last spring Alex Burnett was among the first cuts. He was the first guy recalled once the season began stuck the rest of the way. So the bullpen field thins a bit. We still can't declare anybody a clear favorite for one of the openings, however. Ron Gardenhire may be, as Phil Mackey tweeted Tuesday, unfamiliar with the acronym LOOGY, but anybody who's watched the Twins manager shuttle the likes of Dennys Reyes and Jose Mijares in and out of games knows Gardy believes in using Left-handed One-Out GuYs. But Reyes is out of baseball now, and Mijares is in Kansas City. There's been more focus this spring on identifying the right-handed components for this bullpen construction project, and for a very good reason: Brian Duensing. Duensing was a starter in 2011, and ended both 2009 and 2010 in the rotation, but is ticketed for the bullpen after a dismal 2011 in which he simply could not get right-handed hitters out. Righties hit .330/.376/.536 off Duensing; lefties, just .217/.242.280. Duensing entered camp talking about a correction in his delivery that would help him get right-handers out, and that would be welcome; even a LOOGY has to face some righties. But even if nothing else changes, Duensing's certainly capable of being the guy Gardy wheels out to confront the likes of Prince Fielder, Eric Hosmer or Shin Soo-Choo with two on in the seventh. Whether one wants to let him face Miguel Cabrera, Billy Butler or Carlos Santana in a winnable game is uncertain. Dan Gladden has talked during the spring training broadcasts about Duesning pitching multiple innings, but I don't see it. Yes, Duensing has been a starter, and so what? 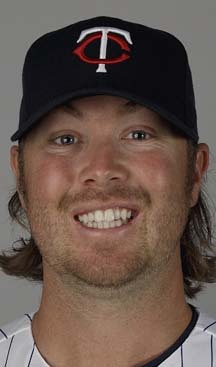 There will be other guys in the pen for long-relief roles -- Anthony Swarzak, most likely, possibly Matt Maloney or Terry Doyle. The Twins have to be looking at Duensing for a late-inning role. LOOGY seems most likely; while the Twins certainly need at least one alternative to Glen Perkins to set up Matt Capps, they would probably prefer a right-hander, especially with Duensing's struggles to get righties out last year. Maybe Duensing's right about being able to fix what failed last year. Maybe he is capable of being the second set-up man and take on entire innings in close games. But he's going to have to earn that role, just as Perkins did last season -- by getting outs. And even if Duensing proves himself overqualified for a specialist role, the Twins will still need that right-handed arm to deal with right-handed power bats. Monday's post examined the very real possibility that one or more 2012 Twins bullpen jobs would be filled by candidates for the 2013 rotation. Let's, today, try to envision what that rotation might consist of. Obviously, such an exercise is unlikely to be accurate. We don't know in March 2012 what trades might occur before April 2013. We don't know who's going to be injured between now and then, or how injury recoveries will fare, or what minor league starter is suddenly going to discover a great change-up in a different grip. But looking into the crystal ball might give us some glimmering of the choices confronting Terry Ryan and the rest of the Minnesota front office. None of the four free-agents-to-be (Scott Baker, Francisco Liriano, Jason Marquis and Carl Pavano) will return. Neither Kyle Gibson (2009 first-round pick now rehabbing from Tommy John surgery) nor Alex Wimmers (2010 first round pick who essentially lost 2011 to a case of the yips) will be on the Opening Day roster. Brian Duensing is in the bullpen and is not a rotation candidate. There are no further injuries to potential starters in the organization. 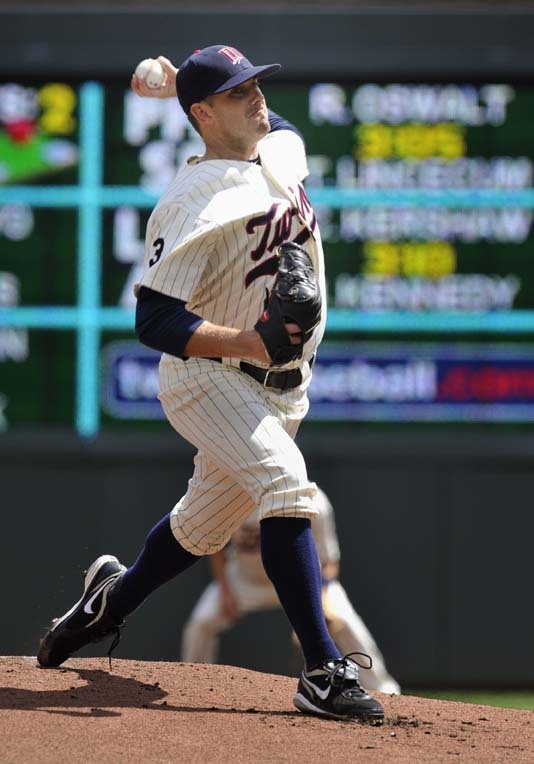 The Twins retain two of the Anthony Swarzak/Terry Doyle/Matt Maloney use-or-lose trio. The Twins acquire (and lose) no rotation candidates other than those already mentioned. This is a very conservative set of assumptions. 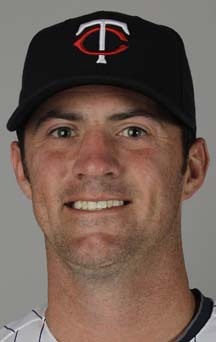 It's possible that Gibson will pitch this year and be ready for a rotation berth in 2013; it's possible that the Twins will re-sign one or more of the veterans. Duensing could re-emerge as a starter, particularly if he finds a way to get righties out. It's almost inevitable that somebody will get hurt; that's in the nature of pitching. Certainly the roster is not going to be frozen. Nick Blackburn. He's under contract. Liam Hendriks. He should get at least a few months of seasoning in the upper minors this year. Swarzak. The most likely of the use-or-lose trio to be on the 2012 roster. That looks disturbingly like last September's rotation, with Blackburn replacing Pavano in the veteran anchor's role and the survivor of Maloney and Doyle taking Kevin Slowey's slot. Remember, though, this is a pretty restrictive list, made up only of pitchers both on the Twins roster now and under team control for 2013, and excluding two prime prospects. This is close to worst-case-scenario stuff. More likely: Blackburn and Hendriks, yes. One of the free-agents-to-be returns; that makes three. One of the Swarzak/Doyle/Maloney/Diamond group gets a slot; that makes four. And a disposable veteran arm gets added to fill out the rotation, with Gibson's entry anticipated by mid-season. My Monday print column was on what I called "the Nishioka dilemma" -- that Tsuyoshi Nishioka appears overwhelmed even by the utility infielder job, yet the Twins not only have a significant investment in him but few palatable alternatives. Then, in listening to the radio broadcast of the Twins exhibition game with Tampa Bay, it dawned on me that the Twins favorable waiver wire position can be a factor. Tampa Bay has a number of players for its middle infield, and Joe Maddon mixes and matches to take advantage of their strengths and cover their failings. The bulk of the playing time in 2011 went to four men: Ben Zobrist, Sean Rodriguez, Reid Brignac and Elliot Johnson. All four remain with the Rays, but they also imported Jeff Keppinger. It's an intriguing mix. Zobrist is a switch-hitter with power and a multitude of positions; a shortstop in the minors, he has played just about everywhere other than short for Maddon. Rodriguez, who also plays second and third, is stretched at short, but is a better hitter than either Brignac or Johnson, who are both, at least by the defensive metrics I've seen, superb shortstops. Keppinger is somewhat in the Rodriguez mode -- plays all infield spots, hits lefties OK.
Johnson is the guy I'm suddenly looking at. He's 28, a switch-hitter, and out of options. While he didn't hit much last year in the majors, he had an absurdly good season with the bat in Triple A in 2010 -- I say absurd because there's little in his nine-year professional record to suggest he could have that good a season. I can see the Rays putting him on waivers late in spring training. And if they do, I hope the Twins claim him. 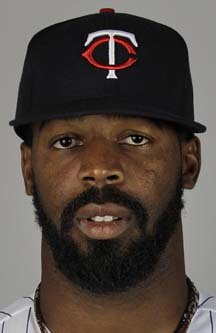 Nobody can beat the Twins to him on a waiver offer. They have American League priority. Johnson's not a great player -- but he's better than the Twins current set of alternatives. Addendum: A point I should have made when I first posted this: Johnson is merely a specific name. That the Twins have the first waiver claim in the American League during spring training gives them dibs on anybody an AL team tries to outright to the minors. John Bonnes made a good point Sunday: The Twins are approaching a massive turnover in their starting rotation. Francisco Liriano, Jason Marquis and Carl Pavano are all eligible for free agency after the season. Scott Baker has a team option for 2013 at $9.25 million; I don't think that's a cinch to be picked up. Only Nick Blackburn, who I regard as the least of the bunch, is under team control after 2012. Bonnes couples this potential for a huge rotation change with the organization's relative lack of nearly-major-league ready starters as a reason for their aggressive acquisition of low-price upper minor league arms. Certainly the Twins have this offseason picked up -- through waivers, Rule V and minor league free agency -- a lot of unestablished pitchers. Some of them are strictly bullpen candidates. But a couple of them seem more likely to be effective starters than effective relievers. The problem, as I see it, is that Matt Maloney is out of options, and Terry Doyle is a Rule V guy; the Twins would have to risk losing either to farm out either. The same is true of Anthony Swarzak, who also appears to be better suited to the rotation than to relief work. 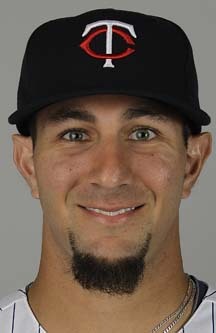 The Twins certainly will have one of those three on the roster as a long reliever/swingman; barring injury, that figures to be Swarzak, who handled that role quite well in 2011. They could, perhaps, fit two of them in their bullpen, although Ron Gardenhire prefers using his relievers in frequent short bursts as opposed to multi-inning stints. Three long men is simply excessive. That ain't happening. It's worth noting in this context that Maloney was picked up on waivers from a National League team last fall, meaning that everybody in the NL passed on him rather than use a spot on their 40-man roster. Now a waiver claim on him would require finding a spot on the 25-man roster, which is a bit tighter, so perhaps the Twins could get him through waivers and outright him to Rochester. The Twins are likely to start trimming some of the pitchers in camp this week. The most likely candidates to be sent down to road to minor league camp are the ones on the 40-man roster who are more future than present (Liam Hendriks, Tyler Robertson). They would be sent out sooner rather than later in no small part because if they get hurt while in major-league camp they would have to go on the major league disabled list, and that's more expensive in a variety of ways. That same risk doesn't apply to the non-roster invitees. But while Maloney and Doyle are on the 40, I don't expect any moves regarding them until closer to the regular season. in pursuit of a foul ball in an exhibition game. a baserunner intent on breaking up a double play is to a shortstop. The 2011 Detroit Tigers won 94 games, which is a nice figure but probably a bit of an over achievement, as they had the stats of an 89-win team. The 2010 Twins won 94 games also, with the stats of a 92-win team, and we know what happened to them the following season. Nobody expected that debacle, and I'm hardly here to predict a similar fate for the Tigers. The Twins collapse was, as far as I tell, historically unique, to have a drop-off that drastic without trying to tank the season (a la the 1915 Athletics or the 1998 Marlins). But while the Tigers have reason to be optimistic about 2012 -- more reason, really, than anybody else in the division this March -- it's worth remembering that they have flaws. Yes, they added Prince Fielder. They also subtracted Victor Martinez, who had a marvelous season. The exchange doesn't add all that much to the offense -- and takes away a bit on the defensive side, because the Tigers are moving Miguel Cabrera to third base to make room for Fielder at first. Fielder, who has trouble scooping low throws (probably because his belly gets in the way) figures to be a slight downgrade from Cabrera at first. And Cabrera at third ... well, the Tigers moved him off third base in 2008 because he was such a defensive disaster there. He has clearly slimmed down considerably this offseason, but I would expect that the absolute best the Tigers can hope for is that he's merely a below-average defensive third baseman. This is not unfamiliar territory for Jim Leyland; he won his World Series with Bobby Bonilla engaged in a daily war with the position (Marlins, 1997). The Tigers have prodigious strong points. Justin Verlander is Justin Verlander. Cabrera and Fielder represent the best middle-of-the-lineup duo in the game. Any team with those three guys at the top of their games should be a serious contender, no matter the rest of the roster. Do you remember the White Sox of the early 2000s? They had a flock of potent but immobile hitters: Frank Thomas, Carlos Lee, Magglio Ordonez, Paul Konerko, Jose Valentin ... they had four hitters better than anybody in the Twins lineup. Once a week or so they'd run up a football score on somebody, just embarrass a pitching staff. And they'd follow a 13-run game with three games in a row of one or two runs, and they couldn't win pitchers duels because of their defense and dependency on the long ball. And it was the Twins who won divisional titles. I can see something along those lines happening for this Tigers team. There's a lot here, but there's some significant stuff missing as well. The rest of the division has to hope this mirrors 2008, when the Tigers expected to score 1,000 runs and instead fell apart on lousy defense, injuries and a little bad luck. Favorites? Sure, the Tigers are the favorites. But there is reason to play the season. 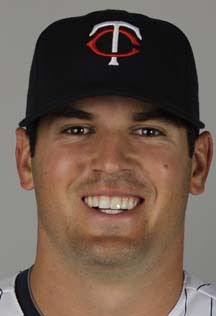 Glen Perkins signed a new contract Thursday. He was already signed for 2012; this one buys out his final year of arbitration (2013) and his first two years of free agency (2014-15) and includes an option on 2016. It guarantees him $10.3 million and apparently contains games-finished bonuses that will raise his pay if he ever becomes the closer. It's interesting to see Perkins and the Twins so eager to make a multi-year commitment to each other, considering that a couple of years ago they were at definite loggerheads. I certainly thought he was a goner after 2009, and 2010 didn't look any better. A year ago many fans -- and not a few bloggers -- were undispleased that Perkins was even a candidate for the roster; today he is probably the most reliable reliever Ron Gardenhire has in his arsenal. And he's a wealthy man. About a month ago I had a post on the five supposed front-runners for June's amateur draft -- a subject of more than academic interest to Twins fans, since Minnesota has the second overall pick. One of those five, Lucas Giolito, a high school RHP from California who reportedly broke 100 mph on radar guns earlier this year, has sprained his pitching elbow and is to miss at least six weeks. The difference between a sprain and a tear may be marginal, but at least at this point he's not slated for Tommy John surgery. I now doubt the Twins would use their first-round pick on Giolito. If he falls through the first round, however, I can imagine them using their compensation pick for Michael Cuddyer on him. Giolito is absolutely a health risk. He is also, emphatically, the kind of power arm the Twins sorely lack. The Twins have nine catchers in camp: Joe Mauer, Ryan Doumit, Drew Butera, Rene Rivera, J.R. Towles, Danny Lehmann, Chris Herrmann, Dan Rohlfing and Danny Rams. The first two are assured spots on the 25-man roster. The second three are duking it out for a likely roster spot, with the two losers going to Rochester to await a call. The other four are around to catch bullpens, fill in at the end of exhibitions and try to leave a positive impression on Ron Gardenhire and Co.
Of those four, Herrmann is the one with the brightest future, but he remains a bit raw behind the plate. For this spring, he's not in the running; by next year, he might be the frontrunner to the backup catcher job. 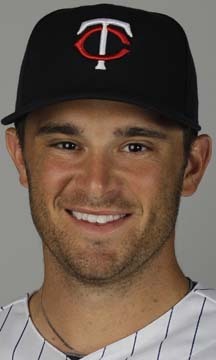 Butera has the advantage of being on the 40-man roster. He still has an option. A good defensive catcher (which Doumit emphatically is not) but no hitter. Rivera is somewhat like Butera, except slower and not on the 40-man roster. Rivera put up even worse numbers in 2011 than Butera. Butera's OPS+ -- a figure that adjusts On-base Plus Slugging for park effects and league -- was 24, which means he was 24 percent of league average at the plate. Rivera's OPS+ was 13. It is astoundingly difficult to hit that poorly and remain in the majors. Which brings us to Towles, a thus-far failed prospect signed as a minor-league free agent after years in the Houston organization. He burst through the Astros system in a rush, but was unable to hang on to the job there in three opportunities. While his minor league numbers generally look good, it should be remembered that the Texas League (Double-A) and Pacific Coast League (Triple A) are generally better for hitters than the Eastern and International Leagues, where the Twins have their affiliates. I will take it for granted that Towles is a better hitter than Butera or Rivera; he can hardly be worse. And I will also take it for granted that Towles is a better receiver than Doumit; again, he can hardly be worse. This may come down to how much the Twins really want Doumit to catch. He's supposed to do the bulk of the DHing, but the Twins under even the most optimistic scenario need someone other than Mauer to catch 30 to 40 games. If they are willing to live with Doumit's defense in most of those games, a defensive specialist might make sense; Butera or Rivera would be around to serve as a defensive sub for Doumit or a caddy for Mauer (taking the final few innings in blowouts). But if Doumit is to be more tightly limited than that, the No. 3 guy might wind up with 200 or so plate appearances, and the Twins may well prefer Towles for that job. Tuesday's Twins game was, like Monday night's, telecast back home in Minnesota, and I watched most of it. There is nothing quite like watching Grapefruit League games to realize limitations of the spring stats, even beyond the small sample sizes. There was a strong breeze blowing in Tuesday at the Port Charlotte, Fla., park, and that made it play a lot bigger. For all the talk early in camp about how Ben Revere had improved his arm by throwing a football, it's pretty obvious that he remains a well-below average thrower. The Twins had some more sloppy play, but unlike Monday the mistakes by and large didn't factor in the scoring. (One of Tampa Bay's two runs scored because of an error by Darin Mastroianni in left field.) The first few days of exhibitions have been marked by fielding miscues and baserunning blunders. Imagine how slipshod things would be without the three extra days of drills. I've written before about liking Matt Maloney's minor-league stats, and he looked good Tuesday afternoon. He's out of options, and I don't know how he would fit on the staff, since there are five starters with multi-million contracts ahead of him and other long relief candidates (notably Anthony Swarzak and Terry Doyle) who are also use or lose.